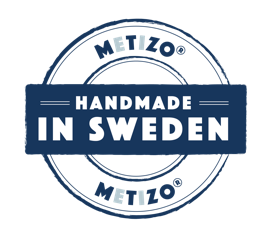 The dog daycare Stadshunden strongly recommends the Metizo harness. It exceeds expectations on quality and function. The staff are very happy to no longer have to endure pulling dogs and the consequential pain in arms and shoulders. Since we startet to use the Metizo harness our dogs are happier. The no longer have to wear noseband or collars that put pressure on the throat. Dry cough is a thing of the past and the risk of sudden tugs on neck and throat is no longer existing thanks to the Metizo harness.